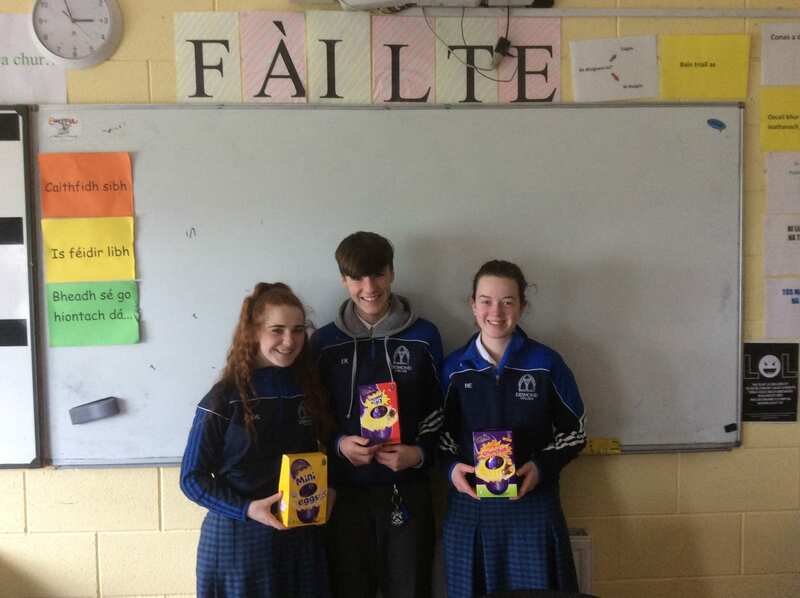 A number of activities took place through out the week in Irish classes to promote Seachtain na Gaeilge. 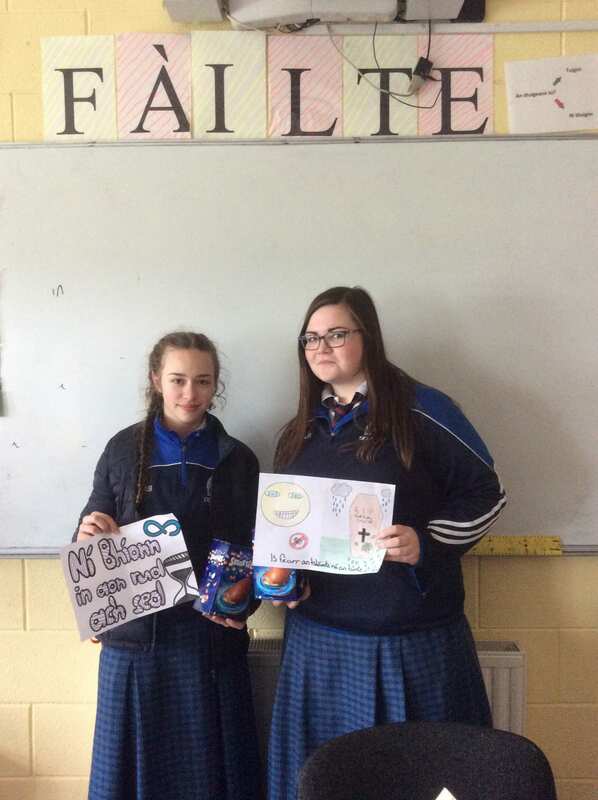 These activities included a ‘Tráth na gCeist’ and a ‘Comórtas Postaeir’ organised by Ms Hennessy. 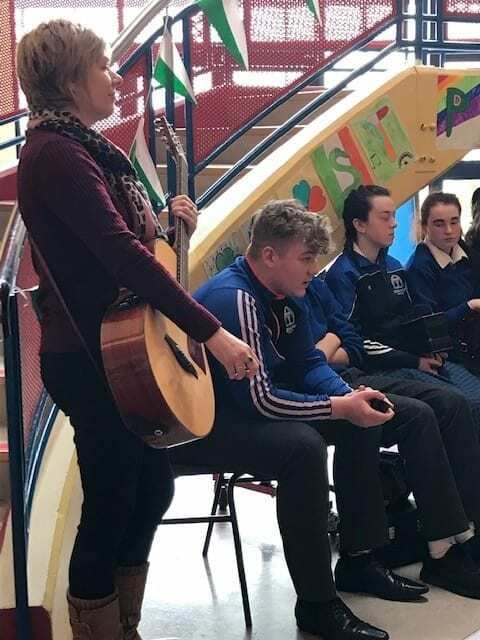 Ms Keane organised for the Trad Group to visit the Desmond Complex on Thursday 14th March to start the St Patrick’s Day celebrations. They played a variety of Marches, Polkas, Jigs and songs. They were accompanied by Paddy Heffernan on bodhran, Sean O’Gorman on triangle and Ms Keane on guitar. 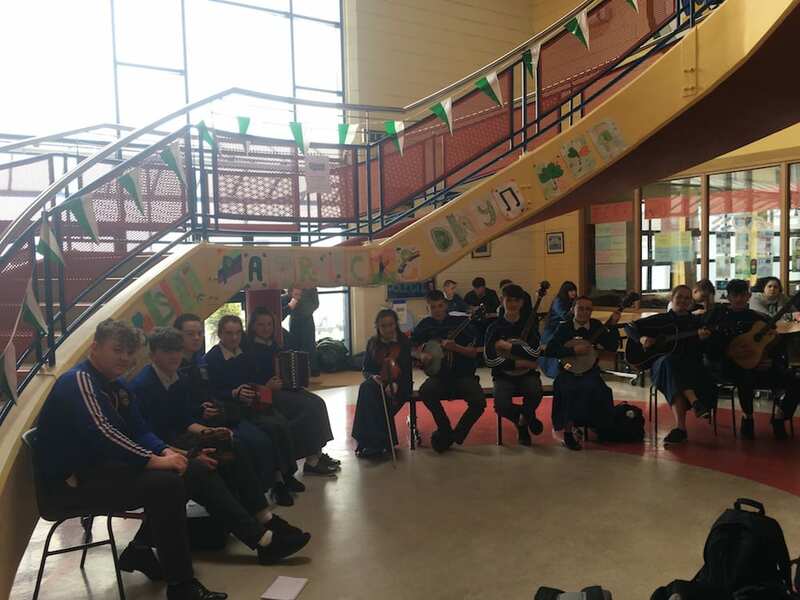 A very enjoyable morning of trad and ballads was had by all. 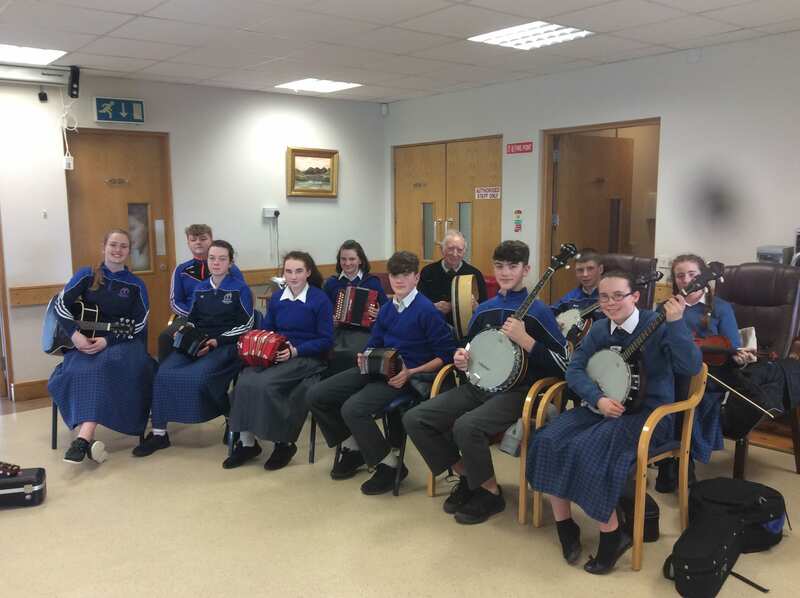 The Trad group performed again in the reception area of Desmond College at lunchtime to entertain both staff and students.